Ola and Hossam have been detained for 317 days. Since their last renewals their case has been gaining escalated international attention. The US State Department Human Rights Report documented Ola and Hosam’s pretrial detention as an example of the human rights violations in Egypt. Amnesty International recently reported that Ola’s prison treatment amounts to torture by Egyptian authorities according to international standards. Last Saturday, May 12, 2018, Ola was transferred from Qanatir prison to the courthouse in the police academy within the Torah prison complex for her pretrial detention extension hearing. The judge allowed Ola’s lawyers to address due process concerns. The lawyers emphasized that Ola has no political affiliation or political activity and that there is no basis for the allegations made by the State Security. They requested that she be released on bail but the judged refused and renewed her detention for another 45 days. The judge authorized access for Ola’s lawyer to speak with her, however, State Security officers prevented them from talking. The lawyer communicated with difficulty through a glass barrier. She was able to inform him that the physical and verbal abuse has been increasing. Ola has lost significant weight and her health is visibly deteriorating. Today Hossam was transferred for his pretrial detention extension hearing. Like Ola, the judge renewed his detainment for another 45 days. Hossam expressed concern about Ola’s deteriorating health. US authorities have requested to monitor the hearings but have been denied access by the Egyptian government. 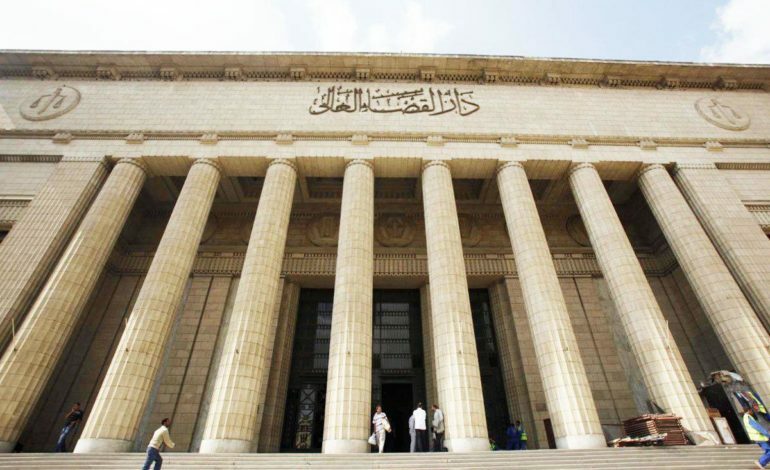 A delegation of members of the European Parliament were in Egypt and monitored trials on Saturday in the chamber of Judge Hassan Farid that Ola usually appears before. They attended the ‘Rabaa Dispersal case’ as well as the trial for ‘Shawkan.’ However, this Saturday Ola was unexpectedly moved to a different room.